Some network errors are mitigated and compensated for by network protocols and active networking components, such as network interfaces. Meanwhile, other network errors lead to performance problems that can negatively affect your services. This topic lists and discusses common network errors, their root causes, and ways of detecting such errors. Packets with incorrect checksums aren&apos;t processed by the receiving host. 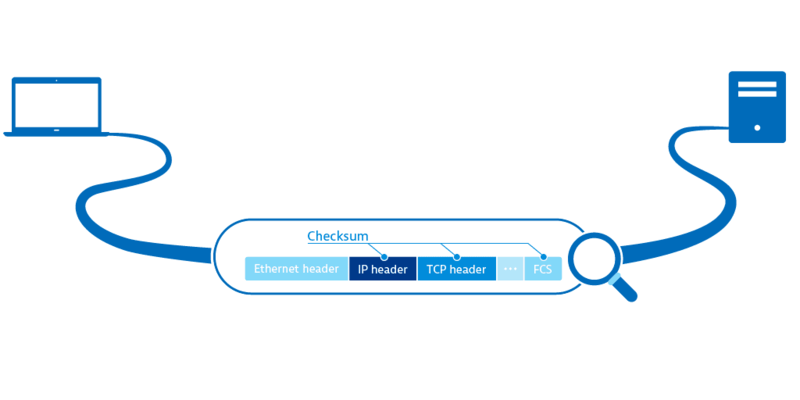 If the Ethernet checksum (CRC) is wrong, the Ethernet frame is silently dropped by the network interface and can&apos;t be recovered even with packet capturing tools. Checksum errors often go undetected, despite the the application of checksumming efforts. When the processing queue on a switch or router is overloaded or when the queue for incoming packets on the host is full, packets are dropped. Usually, when the TTL value hits 0, the time to live exceeded ICMP message is sent to the dispatcher of the package. However, some network components silently drop packets when TTL is equal to 0. TCP segments that arrive out of order at their destination, usually because the segments are not in order. If the retransmission rate of traffic to and from the Internet is higher than 2%, it can impact the user experience. Besides MAC address and IP address information, ifconfig provides detailed statistics about received and transmitted packets. The RX lines contain information about received packets, and the TX lines contain information about transmitted packets. To view detailed network statistics for TCP, UDP, IP, and ICMP protocols, use netstat -s.
Use this tool to query and control the settings of the network interface and the network driver. It gives a detailed list of all errors that can occur on the network interface level, such as CRC and carrier errors. If there are no retransmissions on the TCP layer but ifconfig still returns a lot of erroneous packets, ethtool can help dig into the specifics. If ethtool returns a large number of errors, there is usually something wrong with the NIC, cable, switchport, or other hardware. When there are several hosts in a network, it&apos;s not efficient to ssh each computer and perform extensive procedures on them. Within complex environments, tool support is required. As a monitoring tool, Dynatrace monitors all the hosts that are part of your infrastructure and sends notifications when performance anomalies are detected. 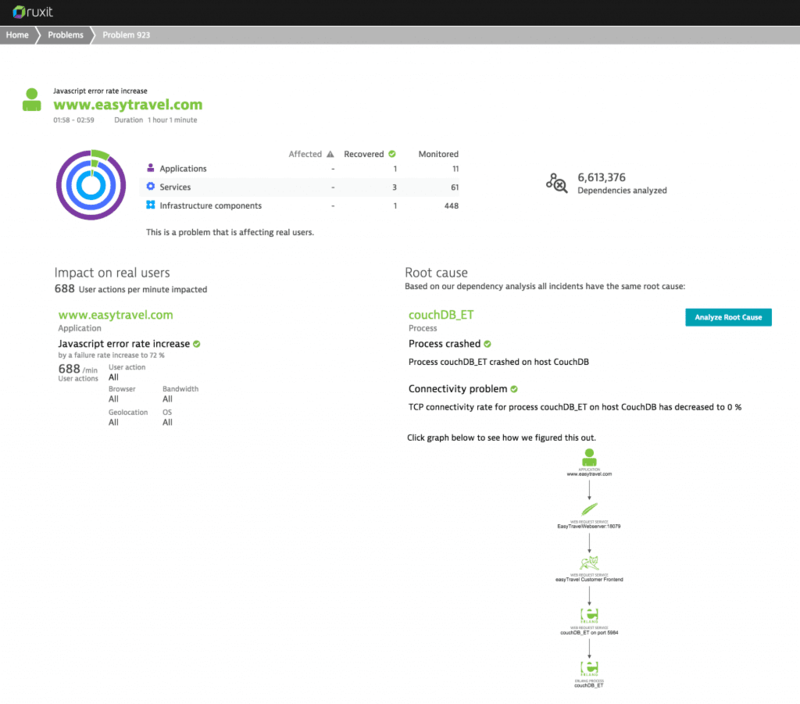 Dynatrace creates performance baselines for all running services, incoming and outgoing network traffic, average response times to service calls, and the availability of each service from the point of view of the network. When any of these measurements degrade in comparison to the baseline, Dynatrace sends a notification. Network traffic provides a good overview of the overall usage and performance of your service. It&apos;s also a good indicator of whether you need to upscale your infrastructure. Responsiveness measures the time from the last request packet that the service receives to the first response packet that the service sends. It measures the time a process needs to produce a response to a given request and must be watched in correlation with hardware resources. The following screenshot shows how Dynatrace can help detect that a service had a responsiveness time of about 3 ms, not much traffic, and 100% availability over the past 2 hours. 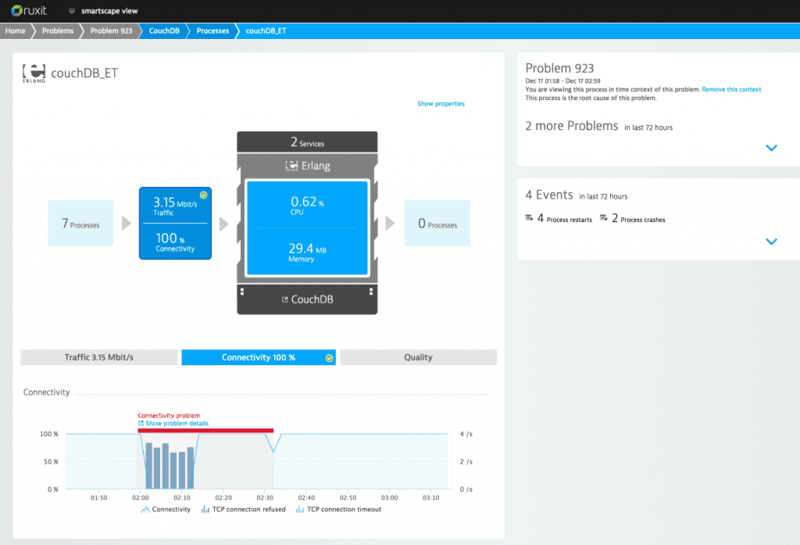 When response time or service availability deviate from the baseline, Dynatrace displays a summary of the resulting problems indicating the number of users that are affected and the root cause of the issue. Dynatrace integrates all this information into AI-driven root-cause analysis.